The expression in the main clause must end with the relative pronoun que or qui. If it ends with the preposition de, you need to use the infinitive. Il est important que tu fasses tes devoirs. It’s important for you to do your homework. Il est important de faire tes devoirs. It’s important to do your homework. Il est important de fasses tes devoirs. The subject of the main clause and that of the dependent clause must be different. If they’re the same, just use the infinitive. Je veux que tu ailles à la banque. I want you to go to the bank. Je veux aller à la banque. I want to go to the bank. Je veux que j’aille à la banque. À noter : There is no future subjunctive in French. Even for subjective situations that are clearly set in the future, the present subjunctive is used. Il faut que tu prennes le bus demain. You’ll have to take the bus tomorrow. 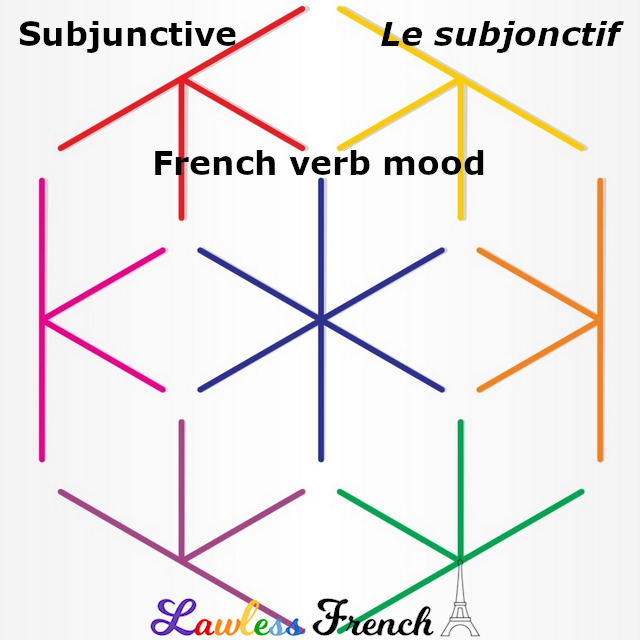 There are hundreds of verbs, expressions, and conjunctions that call for the subjunctive, so it’s helpful to divide them into themes. *These verbs call for the ne explétif. *Whether to use the subjunctive depends on whether you know this person exists – learn more. **These do not take the subjunctive when they are used negatively. ***When nier is in the negative or interrogative, it calls for the ne explétif. *These conjunctions call for the ne explétif. * These conjunctions are followed by the future tense or the future perfect in French, even though in English we use the present tense. Note: You must be logged into your Progress with Lawless French account to take this test. If you don’t have one, sign up – it’s free! I’m studying French again after a 42 year hiatus. (My daughter’s potential in-laws are French). I was really good at French back then, and have been frustrated in class at not being able to remember all I once knew. I LOVE this page – it’s giving me shortcuts to remembering words and structures I’d forgotten. I’m a former teacher of languages – and not easily impressed. I think your website is excellent!!! I’m so glad I discovered it. Quick question about the use of the subjunctive. You state that “the subject of the main clause and that of the dependent clause must be different”. What about the French translation of “I don’t think that I can do that”. Would that not be “Je ne pense pas que je PUISSE le faire”? Good question. No, you wouldn’t use the subjunctive: you’d say Je ne pense pas pouvoir le faire. Thanks for the reply. I’ve never come across that before – not in any of my grammar books, nor with any of my tutors – simply because I don’t think it’s ever come up before, so that’s great to know! Love the website, by the way.